Nothing says comfort, home and family like rocking chairs. 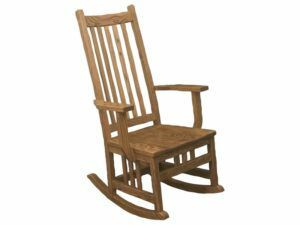 So as you browse the full lineup below, remember this: Amish artisans meticulously handcraft each chair. And they use traditional methods and solid hardwoods. These features make our chairs stronger to keep you rocking longer. 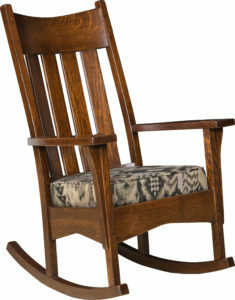 Plush seating accents the Artisan Mission Rocker. 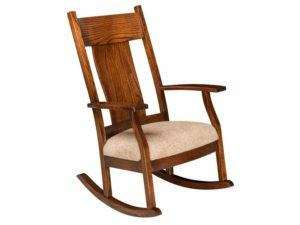 A classic design marks the Aspen Rocker. 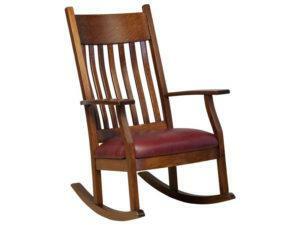 The Bent Panel Rocker offers comfort and rich Amish craftsmanship. 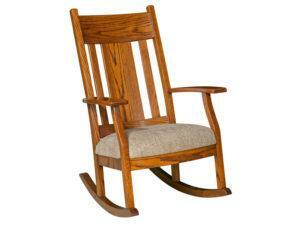 Enjoy this beautiful Bow Arm Slat Rocker featuring Oak Wood with Mission Slats and Corbels. 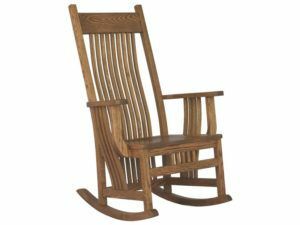 The Creastline Rocker offers a classic design and clean lines. The Harrisburg Mission Rocker is marked with fine Amish Craftsmanship. 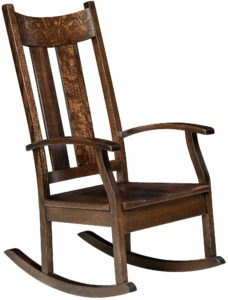 The Heartland Rocker boasts a traditionally elegant style. 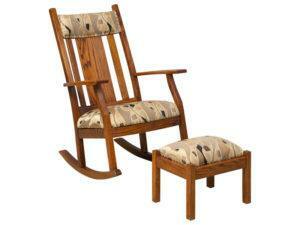 Durable construction ensures a lifetime of service for the Jumbo Royal Mission Rocker. 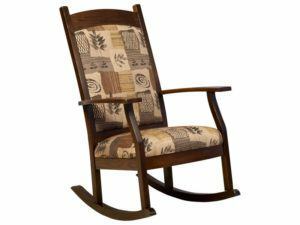 The comfort of the Oakland Classic Rocker will ensure that this will quickly become a favorite seat. 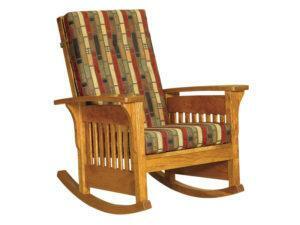 The Oakland Supreme Panel Rocker with Footstool blends style and strong construction. Plush seating marks the Padded Back Rocker. The Regular Mission Rocker boasts a classic Mission style. 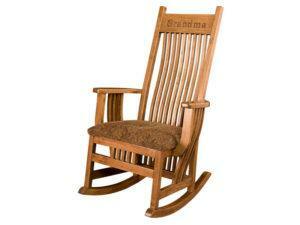 A beautiful engraved headboard accents the Royal Mission Grandma Rocker. Sturdy wood slats accent the Slat Rocker. 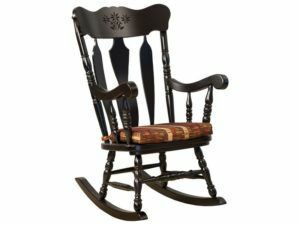 The Springfield Rocker offers comfort with its two direction steambent back. Amish artisans handcraft each chair. And they use quality hardwoods like oak, cherry, maple and hickory. Plus skills handed down from their ancestors, along with modern technologies. So the chairs are very well built. As a result, with proper care, the chairs should last for generations to come. 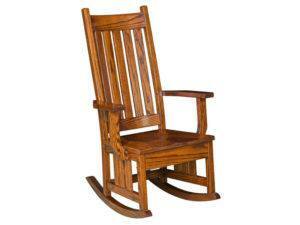 You can order your favorite rocking chair as shown or unfinished. Or, you can customize it so it’s just what your heart desires. And your selections include the wood specie and the wood stain. You can also select the fabric and style of padding. Bottom line: We’ll bend over backwards to make sure you’re seated in the chair that rocks your world. So have fun searching.